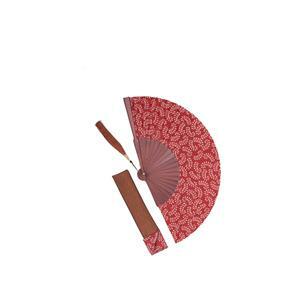 An elegant hand fan made from 100% silk batik printed cloth on a wooden stem with a pretty tassel and in a matching silk pouch. Made from batik printed silk. Your silk fan will be beautifully wrapped for delivery and you have the option of adding a complimentary gift message - please add detail in the personalisation tab. Perfect for parties, weddings, concerts and theatre. We aim to deliver all mainland UK standard orders in 2-3 working days for a £3.00 charge. We will notify you when your Batik Silk Fan Leaf Design has been dispatched.